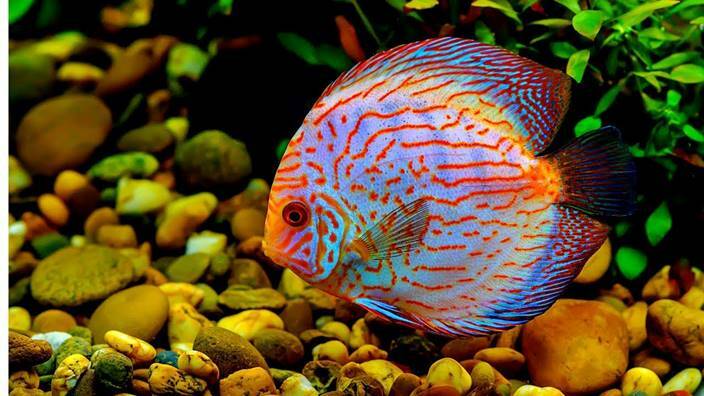 Symphysodon, also referred to as discus, is native to the Amazon river basin which is in South America. Pompadour fish is another term that is used for the discus. 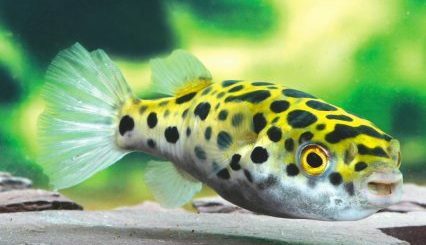 It is a very popular fish for aquariums due to its unique shape and extravagant colours. 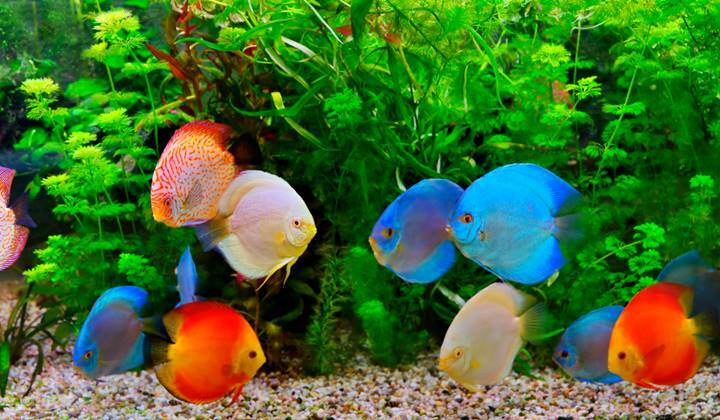 It tends to brighten up each aquarium and become its focal point. Its social nature makes it easier for it to be a part of most tanks. In many Asian countries, breeding it has become an entire industry of its own. It was first discovered by Dr Johann Jacob Heckel in 1840. It was then studied throughout the waters of the Amazon. It usually exists in groups in the wild because of its highly social nature. It is often shy and peaceful. It sometimes seeks solitude and can be found under plants in the water. It possesses a flat body, and its movements through vegetations are, therefore, somewhat unrestricted. It is naturally found in South American regions such as Peru, Brazil and Columbia. We are going to discuss the attributes of the discus fish in detail in this post. The discus fish has a somewhat compressed shape. Its body is round. 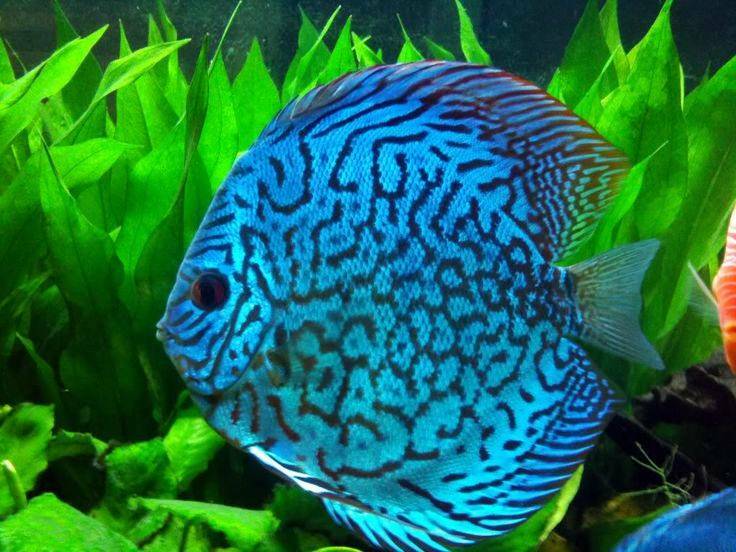 In fact, the name discus itself comes from its round body. 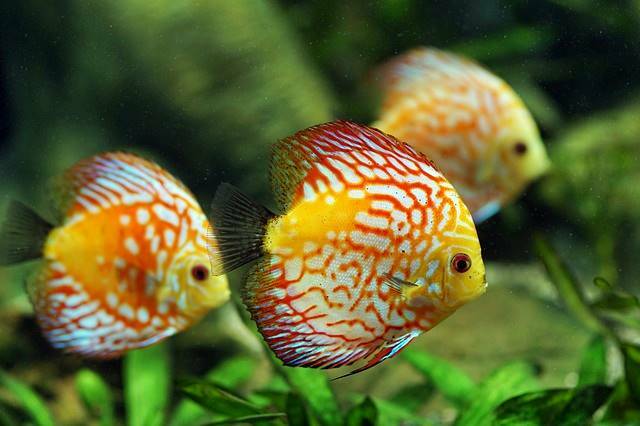 Most discus fish have various patterns of different colours on their sides. Breeding has also helped form a variety of brightly marked patterns which do not exist in the wild. 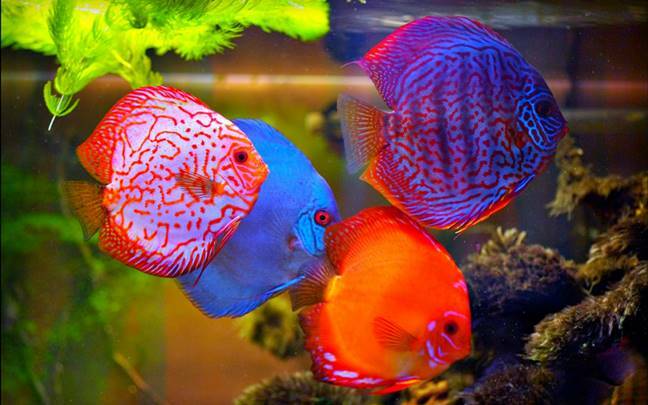 Graceful and colourful are two words to describe the discus fish. They are referred to as the king of freshwater tanks. They are eye-catching creatures and become the focal point of most aquariums. Their unique shapes and colours justify the term king. They are easy to breed due to their highly social nature. What makes the discus especially rare is that it thrives in non-African waters as well, unlike most other members of the Cichlid family. It is usually found in the secluded waters of the Amazon, where the river is calm. These magnificent creatures require underwater foliage such as roots of trees in order to survive as they find shelter among the foliage to ward off predators. They also prefer areas which are not directly affected by lighting and choose to stay in shadowy areas, which also serves to keep them out of sight of potential predators. 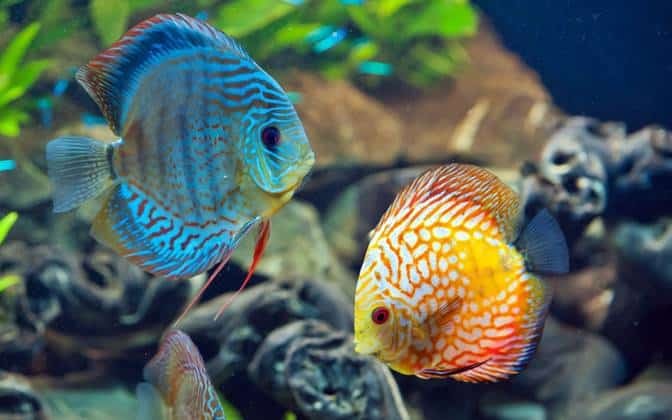 Discus fish have a noticeable preference for warmer, clean and slightly acidic water, which means that they are not the easiest fish to keep as a pet or even in an aquarium. They require a higher level of maintenance as compared to other fish. They require a tank with a large area. 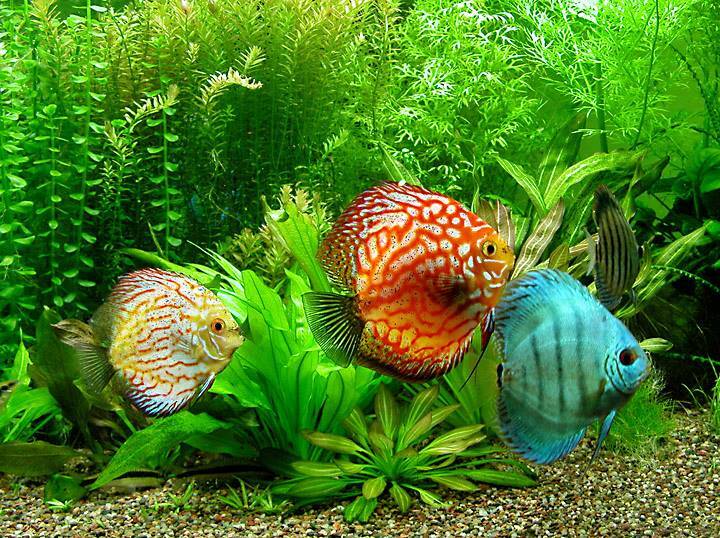 Clean water is an absolute necessity for the discus fish to survive. The water has to be stable for this fish to be comfortable with its surroundings. The discus fish is not for beginner aquarists. It requires a stable environment and high maintenance. It is not too aggressive and fit well with most other fish. It can be added to a tank with other fish without much trouble as long as the other fish require the same conditions. However, it should be kept away from fish that are aggressive in nature. Fish such as the Oscar and those that nip fins are not compatible with the discus fish. Do not be fooled by the discus fish’s placid and somewhat innocent appearance. It can consume anything that its relatively tiny mouth is able to take in. That being said, it most certainly has a penchant for meat and protein, which means that it loves to consume zooplankton, invertebrates, minuscule fish, water-based insects and worms. Its eating habits can be described as lazy as it eats at a rather slow pace by meandering through its habitat and searching for the perfect treat. Ultimately, the discus fish scavenge for smaller portions the whole day and eat time to time instead of having a sizeable amount of food at one instance. This is because the nature of their bodies does not allow them to have sizeable amounts and having a lot of food together can prove to be detrimental to their health. Sometimes, wild discus consumes aquatic vegetation but, when domesticated, will most probably not do so. If one desires to keep these creatures as a pet, it is imperative that a high protein diet is maintained and that they are not constantly fed off-the-shelf fish flakes, which can prove to be detrimental to their health. Discus are very loyal creatures and tend to procreate with only a single partner throughout their life. What is interesting is that they select a site where they feel is safe to reproduce and the female proceeds to lay anywhere between 100 to 500 eggs. Then, the male proceeds to fertilize the eggs and both parents look after the eggs until they hatch. Even after their offspring are born, the discus fish fiercely protect their children and even allow their younglings to feed off them by releasing a transparent serum which the younglings can consume to sustain themselves. When it comes to domesticated discuss, it is important to remember that breeding is only possible in a setting which is relatively deep. A discus couple will not spawn in an aquarium that is too shallow. They also have to be given a warm environment, so temperature has to be given special attention. The pH value of the water also has to be maintained at around 6.5 to get the best results. When considering nutrition, a high amount of protein has to be given to the breeding fish. That being said, it is important to keep switching the food item itself that is being provided to the breeding discus. As advised previously, the discus fish need a suitable space to procreate and lay eggs. Something like a clay pot placed upside down in the aquarium will create a suitable space for these fish to lay eggs and proceed with their fertilization. The discus is noticeably different from the other fish in its family. While it may appear from the nature of its habitat that it likes to live a secluded life, nothing could be far from the truth as it is a rather social creature. In fact, it usually lives in groups or, rather, schools. What’s more is that these groups live like a proper society and display a proper social structure. The social structure is exemplified by the fact that bullying within this social structure exists. So much so that it even leads to the death of some fish. 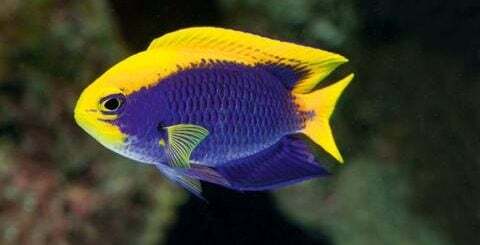 Generally, the temperament of these fish is quite contained unless the space of their partner or offspring is invaded in which case, they can become quite aggressive. As pets, the beauty of these creatures has enchanted normal people and fish enthusiasts ever since these fish were discovered. Interestingly, it has been noted that attempted domestication of these graceful creatures has led to a gradual disappearance of their noticeable black stripes, which might mean that the stripes are somehow related to them being part of a social group or school. 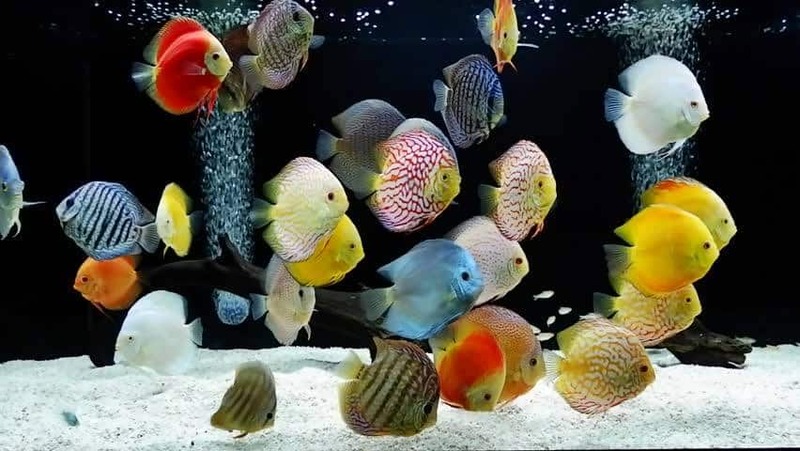 If you want to keep the discus fish as pets, you should know that they get along well with tetras, Cory cats and, on certain occasions, angelfish if neither of the two is breeding or spawning. Flicking (scratching and clamped fins)is one of the more prominent diseases that these fish face. The onset of this disease is indicated via the fish’s behaviour with skin-related discomfort and itching themselves against whatever hard surface they find. Another disease that this fish is susceptible to is fin rot caused by a bacterial infection, which leads to the degeneration of scales and skin around the fins of the fish, ultimately exposing their bony structure. The bacterial infection can also manifest itself in the form of skin abrasion, sores and spots. This leads to extreme discomfort within the fish, which causes loss of appetite. This can also lead to the death of the fish. The fish is also susceptible to the cloudy eye, which manifests in the form of a cotton eye, harming the vision of the fish and ultimately leading to blindness. A blind discus fish will often go into depression, stop eating and die. 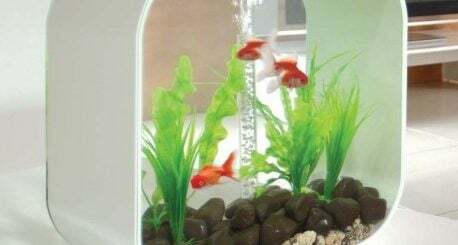 All of the above diseases are mostly caused by contaminated water and, therefore, can be dealt with a thorough replacement of the tank water along with cleaning the aquarium. The diseases are also caused by an imbalance in the pH level, so special attention has to be paid to it.